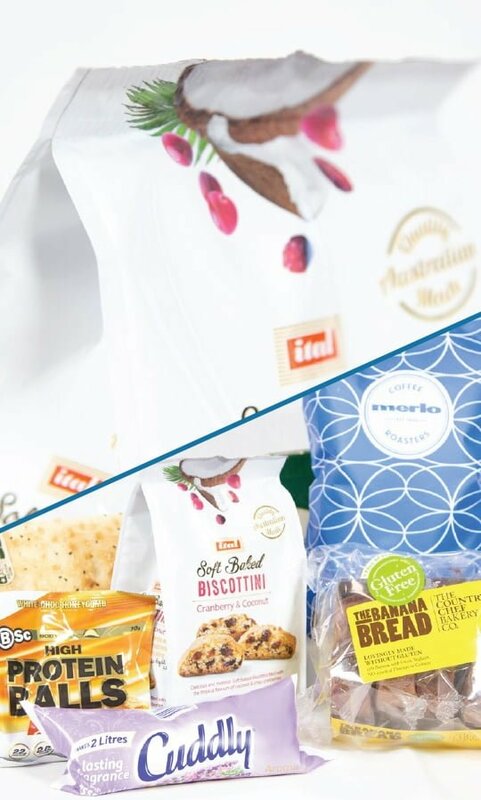 With five full printing faces, the box bag maximises advertising real estate on the packaged product. They are designed in such a way that products will capture a customer’s attention with enhanced visibility and brand appearance on store shelves. 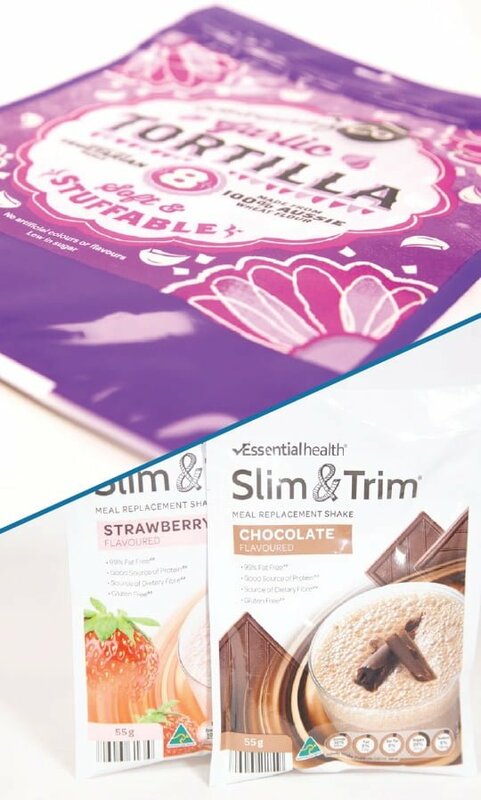 The flat, stable base makes the box bag an ideal packaging solution for lightweight contents such as cereal, rice, nut and coffee, as well as dry powdered products. Customisable dimensions, high-quality printing, and great add-on features such as zips, easy open laser scoring are at the core of what we offer. Various material combinations can be used, including PET, PE Nylon and metallised films. Can help extended shelf life of up to one year, making them good value for money. Materials such as AlOx, and EVOH can be added to the laminates, helping extend the shelf life of the product. Chemically stable, BPA Free, can be pasteurised and sterilised. Food compliant – manufactured in HACCP certified facilities. 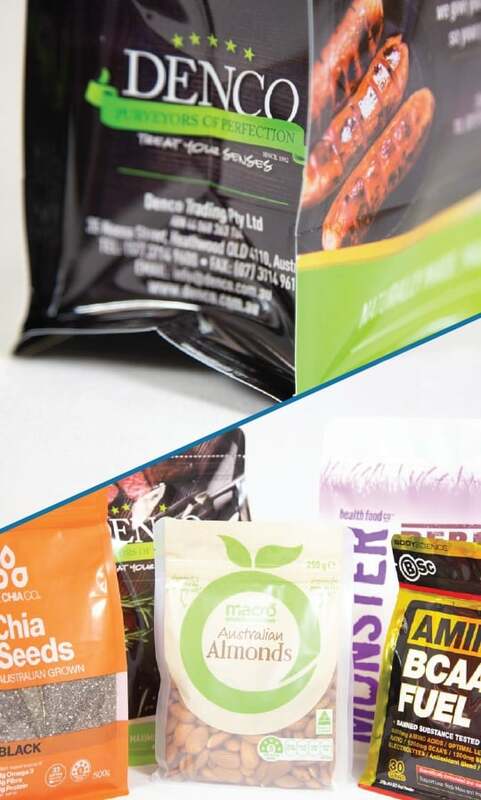 Want an economical and efficient packaging solution, that still has customers reaching for the product? The flat pouch is ideal. Its simplicity ensures that minimal effort is required to package and seal, which in turn gives clients more time and money to distribute to other channels. These pouches are perfect for packaging a variety of products including pet food, medical supplies, and even have industrial applications. They can be pasteurised and sterilised. We manufacture a wide range of laminated films for standard and customised packaging solutions. They provide excellent barriers against oxygen, UV light, water vapour, odours, and mineral oils, whilst protecting the aroma and freshness of the packaged produce. Our films can be laminated up to four layers utilising solvent free adhesives. They are used in many industries, including: food, home and personal care, industrial and other FMCG markets. High-quality flexographic printing; high-speed films for efficient processing; and high barrier films with/without aluminium; are at the core of what we offer. Various material combinations can be used, including PET, PE, OPP, CPP, OPA Nylon and metallised films. Optimal sealing materials with high sealing strength, and the option for resealability. They are chemically stable and BPA free. Laser perforation, to allow the release of atmospheric gases from the packaging, helping to maintain the optimum freshness of the product. 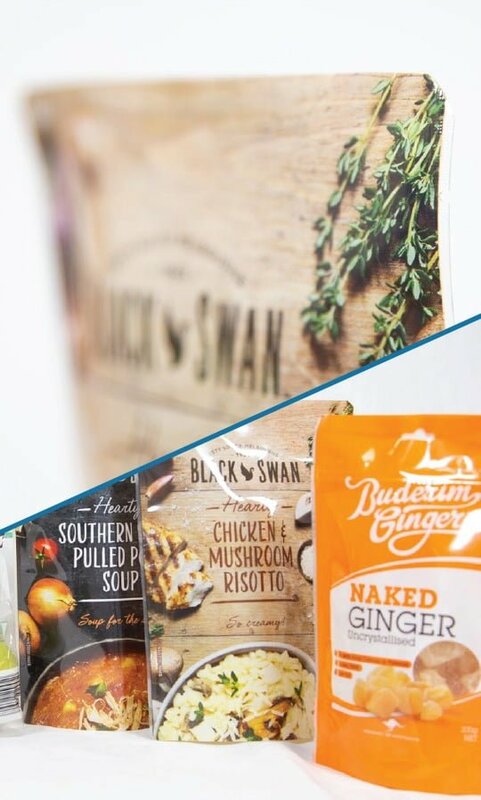 We offer a range of printed stand up (bottom gusset/doy) pouches, in a variety of sizes with optional features, including resealable zippers, tear notches, euro and round hanging slots, handle punch, hole punch and rounded corners. Customisable features such as hole-punching and micro laser perforation and laser scoring.